An exam board is investigating suggestions that some teachers gave students hints about what questions would be in an A-level biology exam. Discussions in an online student forum ahead of OCR's A2 biology practical identified key areas for revision. OCR said it would watch the results to see if anyone had gained an advantage. Last year the same exam was annulled after some students were given data others had to work out for themselves. The exam is in two parts: an experiment that candidates have to carry out, then a question involving the use of a microscope. This year the first part involved what is known as a Benedict's test for reducing sugars, involving dissolving a food sample in a water bath, applying some Benedict's solution and heating it. In the second part, students had to draw and annotate what they could see on a pre-prepared slide of a kidney. Ahead of the exam, a user of a student discussion forum asked what ideas others had about what would be in the exam, and suggested kidneys might be something to learn about. One replied: "My teacher randomly covered kidneys today and offered no explanation. Also we covered yesterday a Benedict's test of a non-reducing sugar... can't be coincidence." Another said: "It's more than likely going to be food tests, and kidneys for Q2, as I've been lead to believe." And another added: "Pretty sure it's kidney and food tests." The person who had begun the thread said later: "Wot about kidneys? All the teachers have been on about this for the past couple of weeks with very strong hints." Another who had previously mentioned kidneys and food tests wrote: "Our teachers have had a look and gave us a revision list ...". And another recounted this experience: "In my last lesson my teachers made us do this practical practice sheet on the kidney - all about the different areas and what's in them etc so yeah I would say that is going to be the microscope question." A further student was equally definite about what would be in the question involving use of a microscope: "The microscope is on kidneys! That's for sure, my teacher would not lie." She later added: "Yes, she gave us a *MAJOR* hint so no reason to disbelieve her. We looked through kidney slides today as well, spent a full 1 hour looking down a microscope at the kidney! She wants us to be 'familiar' with it." And another 18-year-old student at Park Lane College, Leeds, wrote excitedly: "Ooooo I just found out something!! My teacher just randomly taught us how to create our own water bath.. she practically told us it was going to be in the exam!!" The college's director of professional and general education, Anne Hurworth, said this had been a misunderstanding by the student. "Wherever possible, the science department uses electric water baths in the science labs for health and safety reasons, however it is far from unusual for AS and A2 students to have to make their own water baths for certain experiments. "This occurred just prior to the exams when it was discovered that the newly refurbished labs were having some gas supply issues. It became apparent that not enough gas was getting to all the taps in the labs, and the college was still resolving the technical problem before the exam period started. "Sadly, it would seem that this student mistakenly interpreted the sudden switch to manually creating water baths just prior to the exams as having more meaning than it in fact did. The issue was resolved quickly and in time for the start of the exam period." But another student also said: "Kidneys a deffo so revise everything. And the first question we were hinted by our techa that its got to do something with a mini water bath u have to make of ur own so is temperature and enzymes related to this?" And after the exam, one of the candidates wrote that the required drawings of what had been visible through a microscope had been "very hard" to do, adding: "However I gotta thank whoever said it was going to be on kidneys and foodtests!!" While another said: "Thank God I revised Benedict's otherwise I wouldn't remember any of it!" A parent who contacted the BBC said she was writing to the exam board about what had happened. The parent - who asked not to be identified - said it was "quite shocking". There is also a suggestion that specimen results had been available to some students who had been unable to obtain them in the experiment - as in last year's exam. In a statement, the board said: "OCR is aware that, as is the case every year, various suggestions as to what might be in the practical examination were circulating on the internet. "We will be closely examining the results from any centre where there are grounds for suspicion to ascertain if any candidate was unfairly advantaged." A spokesman said the board had not issued any specimen results to exam centres. One student who took the exam told the BBC News website that OCR issues a preliminary planning exercise a few months ahead of the exam each year, as part of the overall assessment, and the subject of that is always what subsequently appears in the real thing. As this year's was about kidneys it was no surprise when that came up. She did not think it would have been any advantage to have revised the Benedict's test as the procedure was spelt out on the question paper. I think every candidate knew the kidney was coming up, those who didn't found out on OCR's forum website. It's a completely pointless exam. They call it a "practical" exam, but you don't get any marks for the quality of your experiment only for how you understood it. Should definitely be scrapped. I took this exam and yes my teacher along with all the other biology teachers hinted at what would be in the exam and yes it was Kidneys and food tests mainly. However this happens everywhere, every year so I cannot see what problem it is causing. If we were not given small hints as to the areas, it would make it much much harder as they could ask anything. As for the specimin results, as I heard, last years A2 practical was a disaster and so many students had to have results given to them. This year, I know someone whose beaker randomly shattered when he placed a test tube into it. Obviously this was not his fault and if there were no specimin results, his whole exam would be pointless as you use the data obtainined in the following questions. Also, there is an invigulator in the exam room to make sure no rules are broken and they seem to have no problem with results being given to candidates. I'm currently studying for a masters and we were given the exact questions for our closed paper exams 2 months in advance. In addition, we were also given the textbook page numbers relating to the topic and advice on how the answer should be structured. I find it worrying that masters can be gained simply by memorising a page from a textbook. As I have always said, GCSE's and todays A levels are not worth the paper they are written on compared to what we had to do in the 60's. In my History A level, the teacher, a marker for the exam board, gave us a mock sources question a month before we sat the paper on exactly the same subject which came up. And he had never given us a sources question of any kind before. It just goes to show how pathetic exams are these days .... ooops, sorry, I took my A levels 30 years ago. The same continues at university, some lecturers run "focused revision sessions" while others simply re-use exam papers. I had one exam this year which we noticed the lecturer recycled the papers on a 4 year cycle, so no surprise when I sat down in the exam hall to find what was effectively a carbon copy of the 2004 paper on my desk. It's an absolute joke! Kidney function has been on the foundation module of OCR biology since before I did it in 2004 (I know, I did it). Kidney function is important, often asked about and a more difficult concept to grasp, so teachers are likely to go over this. A non-reducing sugar Bendict's test is a bog-standard biology practical test. There's always something along those lines otherwise all the tests give the same result and there would be nothing to write about in the interpreting results section!! Lastly, there are only a few things that can be on the practical exam due to things like time, equipment, feasibility etc. and teachers tend to pass on these pearls of wisdom, it is not the same as telling students what is on the test. This report seems to me to show more about the kind of students writing in forums, less about teachers giving "hints", and the ability of ignorant parents and journalists to make a fuss over nothing. I'm now at University, but all through my GCSEs and A Levels, teachers attempt to guess what will come up on the exam papers, by looking at previous papers etc, to try and give us some focused areas. However they never told us direct questions or things like that. I believe it just helped us to concentrate our revision, but a lot of the time what the teachers thought would come up, didn't. Personally I don't see what was wrong with the way mine did it. I see nothing wrong with hints been given on what will appear on the test. Perhaps a rethink is needed on how certain subjects are assessed as students shouldn't need to take a gamble on what areas to revise for an exam. It should be clear that for a given exam certain areas WILL be covered so students can target those areas for revision. Expecting a student to revise everything when only a few areas are tested is not very productive and may not result in an accurate picture of someone's abilities if they have to spread themselves too thin. Whilst undertaking my degree, a lecturer once said "the point of an exam shouldn't be to test how much you can remember but how you apply knowledge and understanding to a question". This seems sensible to me, why not give hints to students as to particular question areas! The individual will still have to apply their knowledge and answer the question correctly. 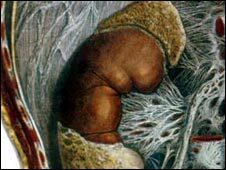 I would argue that it is possible to understand a subject such as the kidney but still not be able to apply this knowledge to answer an exam question correctly. Previous comments have demonstrated that teachers are switched on and are able to accurately make guesses as to exam questions anyway, why not start everyone off on the same footing and say this year's exam will be on A, B or C.
I find it incredible that people in this discussion think students should be told what's going to come up in the exam. The whole point of a syllabus is that anything could be tested and they have to learn the lot. But now we should be selecting an exam-sized slice of the syllabus and telling students to learn just that? I don't think so. God save us from our future doctors and scientists, and our future journalists too if some of the English in these comments is genuine. I am a third year university student, and I have had some exams with guidence and some without. The fact is my topics are very large, so when you have to know everything it can be a real hinderence to your performance! Exams are nothing more than a memory test with some analytical thought, if you are given the area in advanced then you can really demonstrate your understanding, if not then you prove one thing, that is, that you were not able to cram a years worth of material in your head so you had to compromise. There's nothing wrong with guidance, most students if they go through the previous exam papers can normally make an educated guess anyway. Having to know the whole subject takes away the point of the examine as you are reduced to compromising areas whereas with some guidance you can show your real understanding! Wow, I wish my Biology A2 was this easy, our exam papers test us on pretty much everything we do in the course. Some previous commenters seem to think the details given are an educated guess based on what hasn't come up. While I can not speak for OCR biology, I know that for AQA practicals, the teachers are given details on the practical long before the exam, in order to purchase and set up the equipment beforehand. While in theory this is confidential, I was given an exact drawing of the practical for physics by a friend at another school. That school happens to get the best results in my area every year. This really may not be a major problem, but could be evidence of teacher experience. When I took my O level in physics I remember the exact same thing happening. My teacher gave us a list of 20 practical exams that could come up and then triple starring three that he thought would be most likely. being a typical boy, my idea of revision was to read up on these three on the morning of the exam. Luckily they came up and I passed. I am now a teacher and my AS Performance studies students recently sat their written exam. I have good experience of this subject now and the morning before the exam prepared my students for the exact question that came up in the paper. This was down to reading the syllabus carefully, looking at previous questions, and a little bit of carefully considered guesswork. Some students will always be prepared better, or worse for exams - as in life nothing is guaranteed. What always matters though is how hard people are prepared to work, and whether the quality of the teaching is of a good enough standard. If both of these requirements are met then students should do well, even if a particular questions happens to be guessed beforehand. The OCR board gave a preliminary plan which is always based on the exam. The plan was about kidneys so it doesn't take a genius to realise the exam may be on kidneys. This is a 'hint' from the exam board not the teachers. I am now very concerned as I hold an offer from Cambridge and this exam is a crucial element. I am an A level teacher & whilst I don't condone such behaviour I understand the massive amount of pressure behind it. So long as teaching has MacDonald's style targets for pass rates etc with jobs on the line if not achieved some teachers will look for shortcuts. When we start valuing lessons from failure and the government understands that teenagers are not homogeneous in performance then education will truly achieve its real aims. This is incredibly common - I remember being told by teachers at both A Level and GCSE what areas "might" be on the exam, with some teachers being less subtle than others. Even if these hints aren't given, past papers are often available, with the questions staying almost identical from year-to-year. The content of exam papers nowadays is rarely a surprise, and I've just finished my second year exams at university - with 3 of my exams, I only revised specific areas as I was confident these would appear on the exam, and funnily enough they did! This is ridiculous. Teachers have been hinting at exam content and giving revision guidelines for years, to varying extents. On one memorable occasion, a teacher walked around during one SATs exam pointing to the correct answers on multiple-choice type questions. The exam system has no credibility or standing. Just further proof, if it were needed, that exams now serve only to show off educational institutions, not to help students. This is nothing new. It was the same with our AS chemistry practical, the mock was extremely similar to our actual exam. I find it interesting that these so called 'practical' exams are set to replace coursework in the various sciences at A-Level, yet hold much less integrity than the method they are set to replace. I include the word 'practical' in inverted commas as a candidate can achieve full marks without actually undertaking the 'practical' part of the exam, by just requesting the contingency results from their center. This is an 'acceptable' action, even when there is no problem with your experiment, causing the loss of just 5 marks, which can be made up later as the total marks available (usually around 54) is higher than the maximum mark of the paper (usually 44), leaving a candidate more time to analyse results that they have not spent a large amount of time collecting. I have taken this OCR Biology 'practical' exam, and of course I did not partake in the above practice, which I consider deplorable when not required. But the fact is that there are so many possible variables to control in this style of exam that it actually becomes impossible for every candidate to perform on a level playing field. By design, practical exams (at the very least, those by my biology exam board - OCR) are flawed. As an alternative to traditional timed examination, coursework remains the ONLY fair option. The practical exam normally follows a theme started in the planning exercise... This year the plan looked at a compound in urine. It doesn't take a rocket scientist to work out that the link may be something to do with the kidneys! Unfortunately this style of exam is being scrapped, I believe because we can't recruit enough people to mark them. They will be replaced by 3 practical tasks done at some point in the year, marked by individual teachers at that school... Now that really is prone to abuse by individual teachers and centres!! !